We all know the stories about DDT, fifty years ago – but did we learn from them? Not quite, says Ton Schoot Uiterkamp, a retired – but still very active – professor in environmental sciences at Groningen University. He has a lot of stories on his mind to prove his point. ‘We still do not profess systems thinking, but we will have to learn that if we should ever wish to attain a really circular global economy.’ Talking to him, it becomes clear that more often than not, our products and innovations are devised without systems thinking in mind. 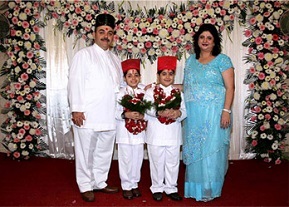 The Parsi were heavily affected by the high mortality among vultures because of the indiscriminate use of diclofenac. Halfway the nineties, the patent of the well-known pain killer Diclofenac expired; that prompted countries like India, Pakistan and Bangladesh to produce this substance at a large scale. Looking as a chemist at this molecule, one sees a peptide bond that should easily decompose in moist environments – but in practice, it does not. In the aforementioned countries the medicine was also applied to animals – and there, dead cattle are left to be eaten by vultures. This led to a very high death rate among vultures, and that also affected the Parsi because this Indian religious sect places its corpses on stakes to be pecked at by the vultures. Which shows what major effects may result from the production of a simple drug. Ton has many such examples of failing systems thinking on his sleeve. The wing with glued components of the well-known Fokker F27, a fine example of Dutch aviation industry know-how, was the first edxample of a wing that was not riveted but glued to the plane’s body. But at the end of its lifetime, that wing could hardly be taken apart. We very often run across this: used materials cannot be recycled and have to be downcycled, not as it should be in a circular world. Take for instance the Audi 2000, wonderful car, doubly galvanised, but reuse of the steel requires removal of the zinc because a mixture of steel and zinc does not yield a proper construction material – and that is quite a job. The same holds true for polymers in cars. There is such a multitude of polymers, that unravelling them for reuse is very difficult. Fortunately, many manufacturers now try to use one single polymer (polypropylene) for several applications (seats, bumpers etc.). 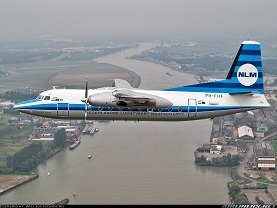 The wings of the Fokker F27 ‘Friendship’ could not be reused because of lack of systems thinking in the design phase. Clearly, designer’s curricula still are too much focused on the primary function, and designers look too little at the materials’ environmental pathways after use. As Ton indicates, wherever you look, examples abound on the lack of systems thinking. Insulating materials, where do they go when houses are demolished? Asbestos, a wonderful product until it has fulfilled its function. Water-based paints, nice innovation – no more solvents needed, vaporising into the air – but where does the paint itself go after use? Even the authors of Cradle-to-Cradle often gave too little thought to the amount of water and energy needed for recycling. Many biobased materials too have been treated, for instance for fire retardation, and that treatment often stands in the way of proper reuse or incineration afterwards. Likewise, we are affected by many diseases along pathways hardly imaginable, or imaginable but not properly foreseen. Forty years ago, air quality in Liverpool and surroundings was very low, surprisingly so as the town is situated at England’s West coast. But the marine sediments of the Mersey contained microorganisms that transformed the lead, then present in motor car exhausts, to the very volatile tetramethyllead. Which affected people’s health in the area. Some decades ago, some dentists had a very active intestinal flora; they metabolised the mercury from amalgams to a methylmercury compound that got trapped in the cell membranes of their nerves. The American Kraft company introduced a new baking powder on the market that performed very well in the lab. But once used by customers, many of them felt that their cakes had a mouldy smell. What was the cause? In the lab, researchers had used non-iodised salt, whereas customers used iodised salt; the iodine reacted with the baking powder and produced the mouldy smell. In other words, chemists were not trained to take into account the chain effects of their new substances and products, like in separation of components after use. Systems thinking is not easy. A fine example is the case of plastics in the environment, they fall apart to tiny fragments but do not mineralise, which is what nature would require to restart the natural cycle. Once you start looking for it, sloppy systems thinking is everywhere. Apparently, the biblical principle: ‘dust thou art, and unto dust shalt thou return’ is not rooted well enough in the designers’ curricula. And chemists do not give enough thought to the whole chain of consequences of the use of their materials.